2 min read . Updated: 27 Sep 2011, 05:28 PM IST Sunil B.S. Noted Peruvian economist Hernando de Soto, also known as the poor man’s capitalist, was in the country last year to advise the Indian government on urban housing and property right issues. Had Jairam Ramesh spent more time with him, he would have realized that promises the recently introduced Land Acquistion Bill make would remain pointless unless clear land titles are in place for every land owner. After introducing the draft law in parliament, Jairam Ramesh had said the draft land acquisition bill is a “political bill which strikes a balance between social benefit and economic growth". According to the draft Bill, the compensation offered to land owners would be four times higher than the market rate, along with other benefits. But those households with no clear titles stand to gain very little from such compensation packages, and hence this Act will not be a solution for their protests. The severity of issues related to unclear titles is clear from the number of property disputes that choke our civil courts due to uncertainties over property titles. This also remains the main reason for conflicts over land between the state and industry on the one side, and land holders on the other. According to the National Crime Records Bureau, property disputes were the motive for 9.1% of murders and 3.1% of culpable homicides, not amounting to murder, committed in 2009. In India it is presumed that the person paying taxes on the land is the title holder. What remains recorded are land transactions, not ownership per se. Moreover even these land transactions are not held in the same office which holds the land title records and with absence of working communication between them, makes the process of verifying land titles in case of a dispute all the more tedious. Now, Land owners with no proper documentation proving their ownership hesitate in taking legal help from courts as they fear the process might take forever. That’s when they seek the counsel of local muscle men to settle such disputes, who also act as middlemen to settle transaction with Industry looking to acquire land. In order to put an end to such non-transparent deals, the ministry of urban development has set up Project Platinum (Partnership for Land Title Implementation in Urban Management). The working group of this project has already come out with a draft Land Titling Act that promises to bring about a guaranteed land title system. Project Platinum has created guidelines for implementation of property title and would catalyze the states to implement it while disseminating information through websites, events etc. 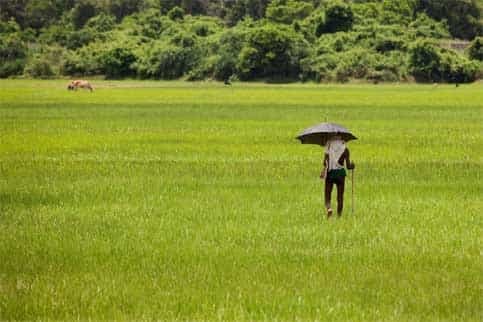 The Land Acquistion Bill may help the United Progressive Alliance win the confidence of agitating farmers, and might be major election issue in Uttar Pradesh in 2012, but unless there are clear land titles, land owners would stand to gain little by it.